Artwork found at the always incredible Sky-Ffy. 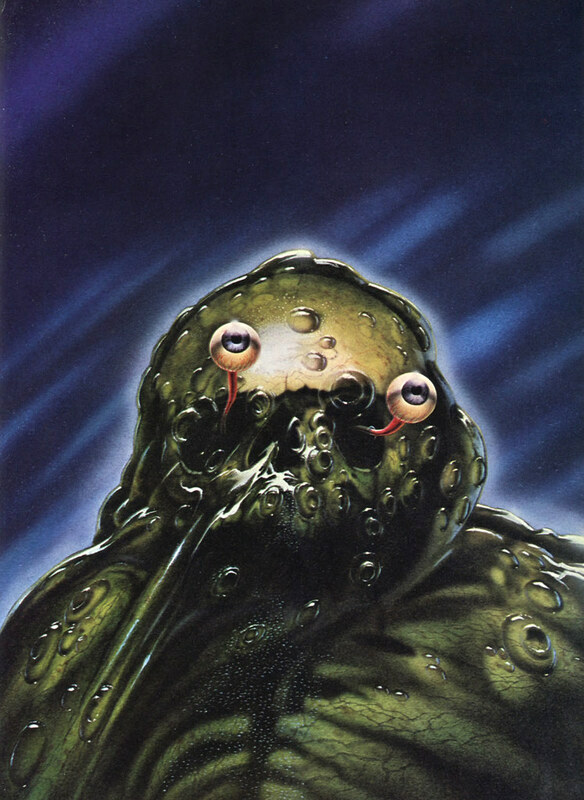 The site recently posted a great article on the book the above alien abomination appears in.. "ALIENS IN SPACE - AN ILLUSTRATED GUIDE TO THE INHABITED GALAXY" here. It's a gorgeous large-format poster book. the pictures are amazing and would just be perfect for your blog. This was also used to illustrates the excellent monster story "Four In One" in the Damon Knight collection "In Deep". So good!! The covers about the UFO's being alive are especially creeaaapy!! "Machine? Animal? Hybrid of BOTH!!!"